February is National Pet Dental Health Month. 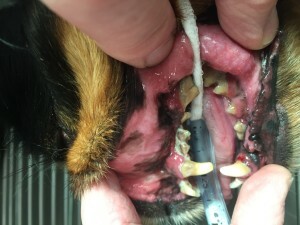 What better time to learn about your pet’s oral hygiene and how you can help maintain it? Dental disease is extremely common and affects the majority of adult dogs and cats. The mouths of dogs and cats are naturally full of bacteria. These bacteria eventually form plaque on the surfaces of teeth. Minerals in the saliva harden the plaque into tartar, which traps bacteria against the gums and allows it to enter the bloodstream. From there it can affect many internal organs, including the heart and liver. 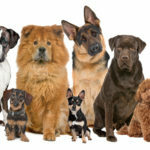 If your pet shows any of the above signs, make an appointment to see one of our veterinarians. 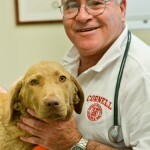 Your pet could likely be in need of medical attention! If left without professional care, advanced periodontal disease can lead to loss of teeth, bone loss around the teeth, nasal discharge, and even jaw fractures! 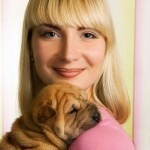 Many pet owners get nervous when they think about having their pet’s teeth professionally cleaned. Usually their biggest worry is general anesthesia. Performing a dental cleaning without anesthesia can actually do more harm than good. Animals generally do not have the ability to sit still and keep their mouths open for extended periods of time, just as you don’t! Moreover,, most dental disease starts below the gum line which is an area that cannot be effectively assessed without the use of general anesthesia. While there is always a risk associated with anesthesia, it is important to point out that the procedure is now safer than it ever has been. Pre-anesthetic bloodwork is recommended for all patients, and is of paramount importance for patients that are 7 years of age or older. This bloodwork allows for assessment of organ function and blood cells. The liver and kidneys are the main organs that metabolize anesthetic drugs; having adequate numbers of red blood cells, white blood cells, and platelets is vital both during and after the procedure. 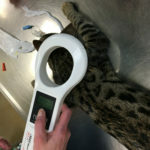 During a dental cleaning, the pet is placed under general anesthesia and monitored closely by a veterinary technician. The veterinarian checks all teeth thoroughly for evidence of disease and removes any diseased teeth. All plaque and tartar are removed from the teeth using an ultrasonic device, and then the teeth are polished. Polishing smooths out micro-abrasions from cleaning which would otherwise act as locations for bacteria to colonize. The best way to care for your pet’s teeth at home is to brush their teeth. To truly see a benefit from this, you must brush their teeth every single day just as you would brush your own teeth. It is extremely important that you use a toothpaste that is meant for pets. Human toothpastes often contain artificial sweeteners that are toxic to pets. 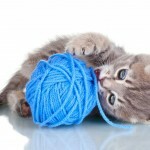 Start brushing your pet’s teeth at a young age and while their teeth are healthy to get them used to the activity. Some pets grow to love having their teeth brushed! 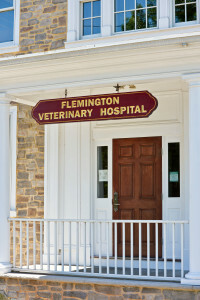 The Veterinary Oral Health Council (www.vohc.org) was developed in the 1990s by the American Veterinary Dental College as a means to recognize efficacious products for dental health. 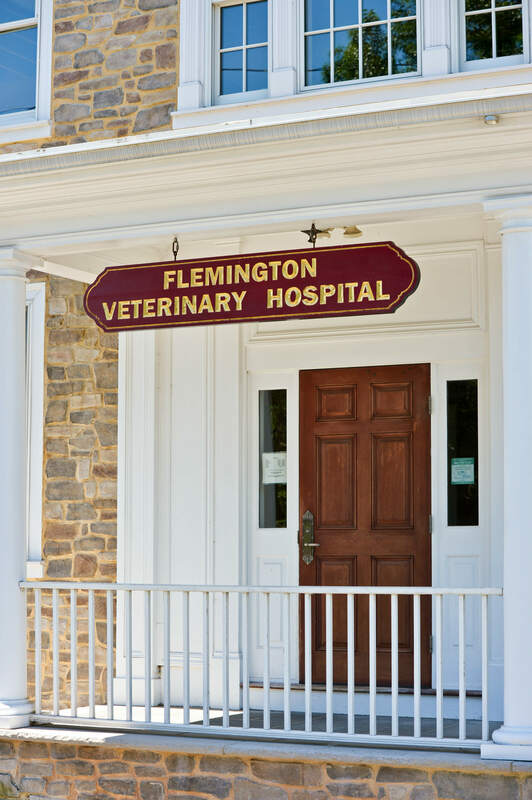 The VOHC exists to recognize products that meet pre-set standards of plaque and tartar retardation in dogs and cats. Products are awarded the VOHC Seal of Acceptance following review of data from trials conducted according to VOHC protocols. There are many products including diets, treats, water additives, oral sprays, toothbrushes, and toothpastes that have the VOHC Seal of acceptance. When it comes to treats and toys, it is important to select only ones that can flex and bend. 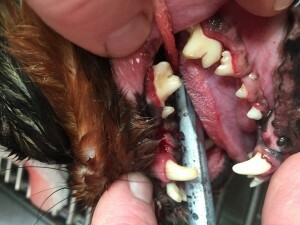 This reduces the risk of your pet fracturing a tooth while chewing. 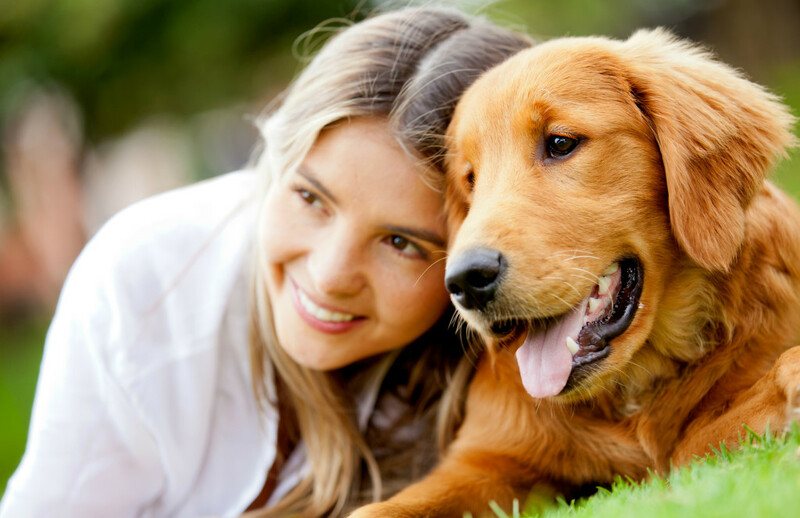 Providing home care for your pet is not only great for their health but also provides time to bond with your pet! Dental health is important everyday, not just during National Pet Dental Health Month!